Fortress Of Freedom Board :: View topic - Congratulation To Don Brasseur's Performance On Senior Star! Congratulation To Don Brasseur's Performance On Senior Star! Posted: Wed Mar 28, 2012 12:00 am Post subject: Congratulation To Don Brasseur's Performance On Senior Star! "Boots" performing at Senior Star! 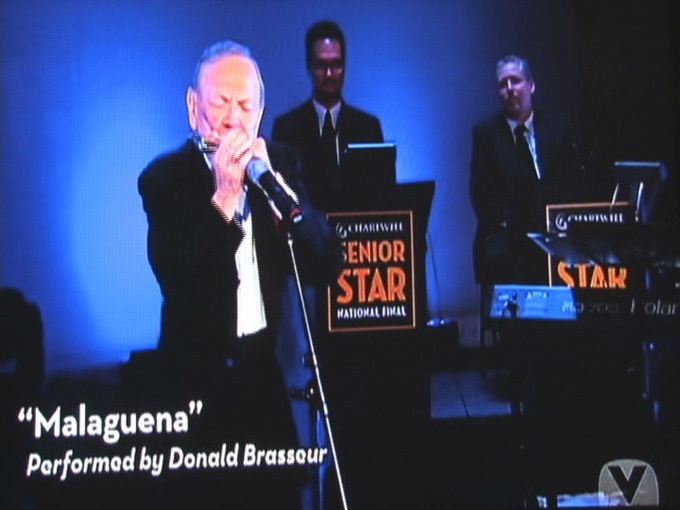 On behalf of myself as President, the Board of Directors, the staff and fellow artists and the membership; we congratulate Donald "Boots" Brasseur on his stellar performance at the 2011 Senior Star. Don has been so involved in many of our companies over the years it is surprising to see the list that he is connected with and the number of people involved. Many of us watched the two hour show and the producers and sponsors along with the contestants are all to be commended on an entertaining program. 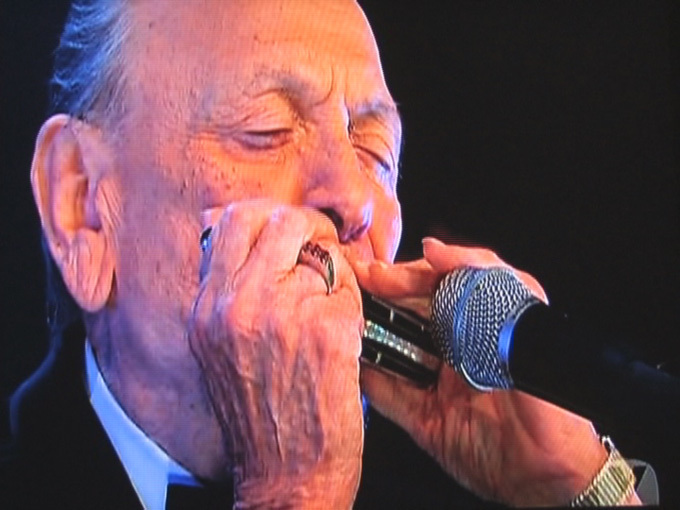 But our thoughts and congrats remain with our own Don Brasseur and his harmonicas. Once again from all of us, we congratulate Don on his performance at Senior Star and wish him continued success in his music career! Another shot of "Boots" performing at Senior Star!